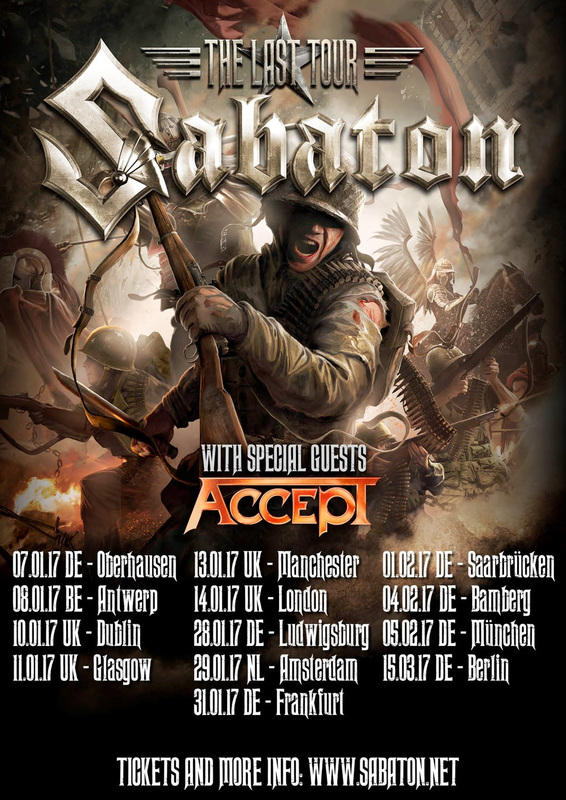 RockChickenz: SABATON Announce First Dates of ‘THE LAST TOUR’ In Europe 2017! 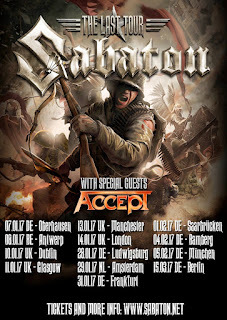 SABATON Announce First Dates of ‘THE LAST TOUR’ In Europe 2017! Swedish heavy metal heroes SABATON have announced the first dates for their massive European tour 2017. THE LAST TOUR is the biggest tour of SABATON yet and scheduled to kick off January 7th at König Pilsener Arena in Oberhausen, Germany. Very special guests are none other than heavy metal legends ACCEPT. 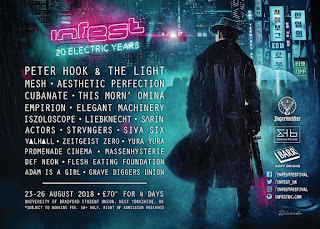 Additional shows to be announced at a later date. YOUNG GUNS return with new single "Bulletproof"